How is it possible that this movie is so good? How can anyone be this creative and smart with such a basic and nonsensical idea? How do you juggle great story, great characters and great animation among other great things this efficiently and still come out with all of your dignity intact like the makers of this movie have? And how, oh how, do we get that insanely catchy “Everything Is Awesome” song out of our heads? (By the way, if you haven’t heard it yet, it’s below. Warning: you can’t unhear it). Whatever the answers may be, The LEGO Movie is bona fide family entertainment, possibly one of the best of its kind since Toy Story. Yes, we are serious. But this is far from a “toy” story in and of itself. It could have been so easy to make this yet another cynical studio machine that only serves to sell its product, but what directors Phil Lord and Chris Miller (Cloudy with a Chance of Meatballs) have done is add something unexpected to it: a personality. It’s odd, it’s quirky and it’s a little psychotic, but also extremely fun to be around. It’s like a clown you hire for your kid’s birthday party but he ends up surprising everyone with the sheer amount of effort and passion he puts into his simple, menial job. Continuing their sly eye for comedy with Cloudy and 21 Jump Street (as well as this summer’s sequel 22 Jump Street), Lord and Miller inject an overwhelming amount of humour into its system and as a result create the funniest animated comedy since Shrek 2. In fact, there are so many jokes going on in the foreground and background it feels like the animated equivalent of something like Hot Fuzz. The best thing about it is, 99% of these jokes work and proceed to tickle the funny-bones of any children or adults fortunate to watch it. Thankfully, the characters are well-written enough to boost its fun levels even higher. Literally, not one character – from Chris Pratt’s chipper lead Emmet to Will Arnett’s hilariously broody Batman – feels like a fifth wheel or a waste of space. Each one of them is given at least one or two highly memorable moments to shine and resonate with viewers, including the funniest use of Charlie Day’s voice in recent history during its climax (all we’ll say is “Spaceship!”). It’s such a wonderful cast of characters who are all charming and likable in their own unique way. But beyond its high awareness of humour and memorable characters is something even the biggest sceptics couldn’t have predicted: it’s a very emotion-led movie. For example, one scene around the middle of the movie focuses on Alison Brie’s über-adorable Uni-Kitty character, and while we won’t give anything away, it’s shockingly tender and genuinely sad (that’s a real sign of a great character when you’re nearly weeping along with them). The biggest example is a major twist during the third act which we won’t DARE talk about because it needs to be seen to be believed. But even that makes its way to your heart in the best possible way. 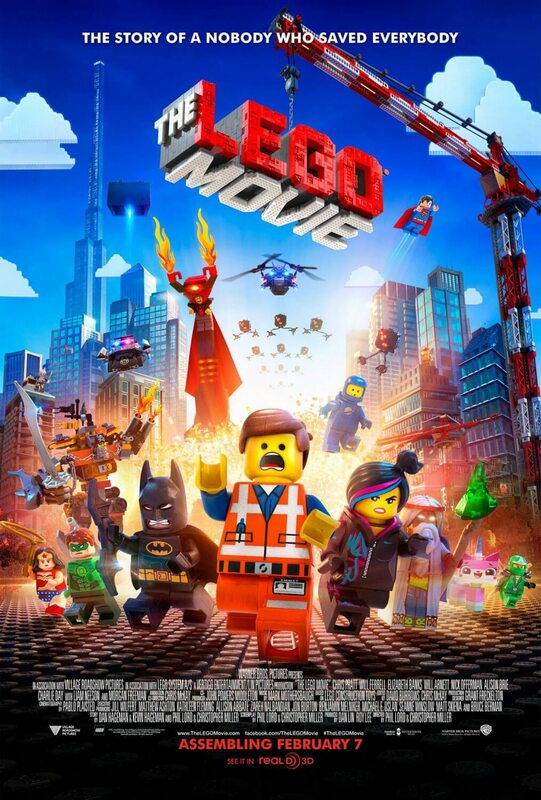 What Phil Lord and Chris Miller have brought to the big screen with The LEGO Movie is something truly unique which touches you emotionally and hysterically. It’s true, then: you really CAN build something great out of building blocks. 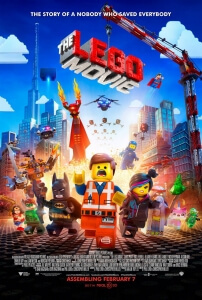 The LEGO Movie is an astoundingly enjoyable family film that literally everyone can enjoy, with great story, memorable characters and beautiful animation that makes you forget the primary instinct was to promote toys. It’s only February, but this is already one of the best films of the year.